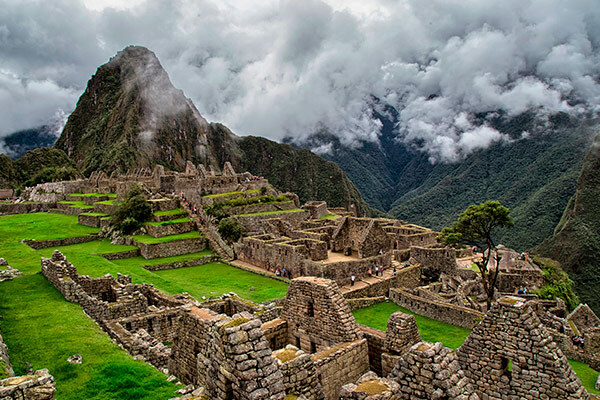 On this journey you will explore Peru’s fascinating ancient civilisation, the journey through the fertile Sacred Valley and the magnificent tour visiting Machu Picchu make an immersive living experience that few travelers get to know during their vacations in Peru. Arrival at Alejandro Velasco Astete airport, welcome and transfer to the hotel Then you will have the rest of the afternoon free to rest, relax or explore a little bit in the beautiful ancient city of Cusco. After an early breakfast we will pick you up in the lobby of your hotel and bring you into the Sacred Valley of the Incas. Our first stop will be to visit the archaeological site and traditional market of Pisac. After your tour of Pisac we will make our way to Urubamba where you will enjoy a lovely lunch make with some of the many fresh products of the area. After lunch we will make our way to the archaeological site of Ollantaytambo where we will visit the ancient Inca Fortress and terraces. After the tour we will bring you to your Ollantaytambo hotel where you will enjoy a restful and relaxing evening. At the appropriate time we will meet you in the lobby of your hotel and bring you to the Train Station for your Train to Aguas Calientes. The train will follow the Vilcanota River for approximately 1½ hr. 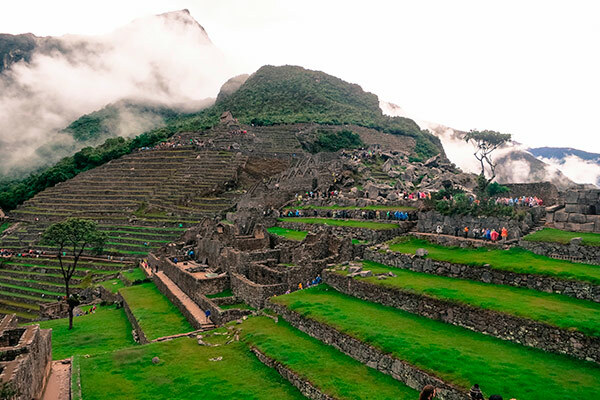 When you arrive a representative will be waiting to assist you and bring you to the bus station for your train to the citadel of Machu Picchu. 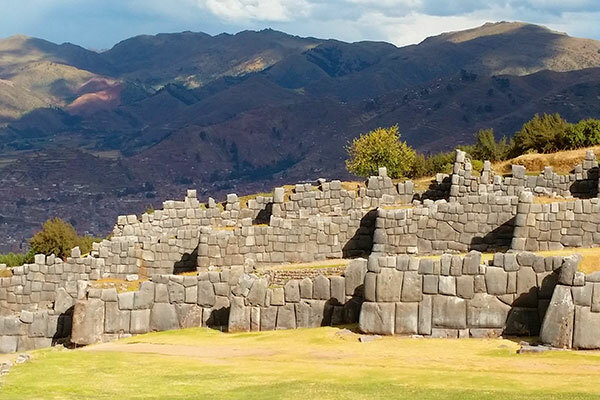 After your tour you will have some extra free time to Explore before returning to the train station for your train and transfer back to the hotel in Cusco. Additional Vistadome Train Service, more comfortable, with panoramic windows located beside and above your seat will bring you close to nature. Additional Belmond Hiram Bingham Train Service, more exclusive and luxurious train, with an elegant dining car and a bar car. 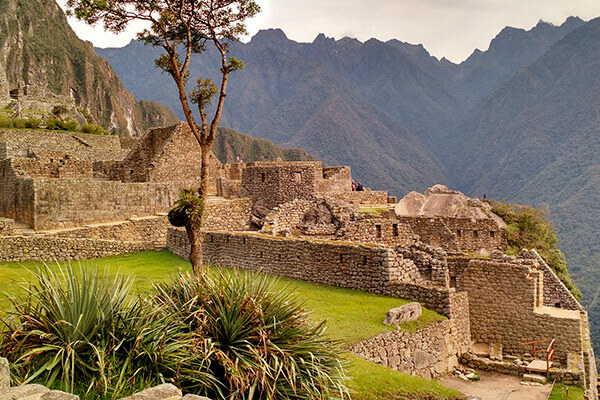 Today you will have the morning free to relax and explore in the beautiful ancient capital of the Incas. We highly suggest visiting the San Pedro Market, Artisan neighborhood of San Blas or the Central Artisanal where you can find many handicrafts made by the locals. At the appropriate time early in the afternoon we will meet you in the lobby of your hotel and start the tour. 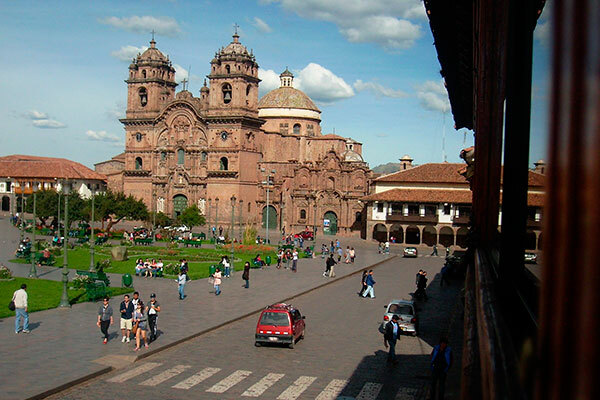 We will visit the main square or Plaza de Armas, the Cathedral, the Coricancha or Temple of the Sun. Afterwards we will make our way outside the city to the archaeological sites of Sacsayhuaman, Qenqo, PucaPucara and Tambomachay. After a tour of each location we will bring you back to your hotel for a restful evening. At the appropriate time we will pick you up in the lobby of your hotel and bring you to the airport, where you will catch your flight back home. Vistadome Train Service, more comfortable, with panoramic windows located beside and above your seat will bring you close to nature. Snack included and non-alcoholic hot and cold beverages. Saqra Dances and Fashion Show on the return trip from the Machu Picchu Station. Additional Belmond Hiram Bingham Train Service, more exclusive and luxurious train, with an elegant dining car, a bar car, and the observatory, where you can take in the unmatched scenery in the open air while sipping on a traditional Peruvian cocktail and listening to live local music. The trip Includes a cocktail, once onboard, the maître will invite you to a brunch and gourmet lunch. The return trip includes a fine dining experience at dinner. In both ways, you can accompany your meals with beverages (non-premium) and an excellent wine selection, pisco sour, cusqueña beer. Live music and dances. Included a guided tour to Machu Picchu, for the travellers in Belmond Hiram Bingham train service. Also includes an afternoon tea at the Belmond Sanctuary Lodge Hotel with wi-fi. *At the moment the Observation balcony Car is closed for operational reasons. Entrance fee for HuaynaPicchu Mountain: Additional cost of $20.00 per person if the confirmation is at time of the booking. If the confirmation is received after the time of booking a full entrance fee with Huayan Picchu must be purchased at the cost of $80.00 per person. Also it depends of availability, there is two schedules 7:00am and 10:00am (To visit the first schedule may be necessary to travel the night before to Aguas Calientes and spend the night there). Please have a print copy of your final itinerary due to days prior of the trip may be some changes that can slightly change. The itinerary has some flexibility; in order to offer a better service occasionally it may be necessary to change or make some alterations. If at the time of booking, the hotels listed are no longer available, we will book another available hotel of the same category, and we will let you know before arrival.